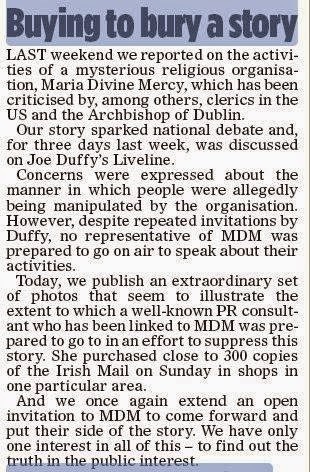 One week after exposing Ireland resident Mary McGovern-Carberry as the ‘secret’ Catholic visionary “Maria Divine Mercy,” the Irish Mail on Sunday featured her again… gathering up all available copies of the 1 February 2015 publication near her Malahide home. The former owner of McGovern PR should have known better. The public relations consultant, who fell on hard financial times in recent years, transformed herself into an all-internet, all-secret ‘visionary’ in 2011 gathering millions of followers who purchased her books and medals. Store security cameras caught Carberry – who, as Maria Divine Mercy, called herself the last prophet, angel and victim soul – hauling hundreds of copies to her car giving contrasting explanations for her curious behavior. 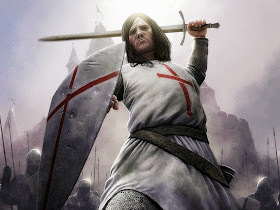 Carberry’s ‘Jesus’ communicated almost daily through his ‘angel’, but has been silent for 12 days now, a sign, perhaps, that the Malahide Madam is now ‘out of favor’ with celestial forces. 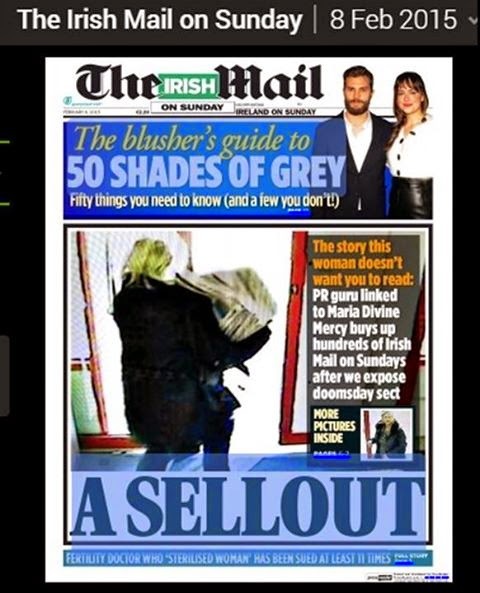 The complete 8 February 2015 Irish Mail story is available in two files. The Shepherd always enters through the gate, never through some backdoor as Mary Carberry has. The Supreme Pontiff is the shepherd of the Lord’s flock here on earth. He entered on the world stage from the front door, in full view and not like Mary Carberry through some incognito, disembodied voice on the Internet pretending to be the voice of the Messiah. 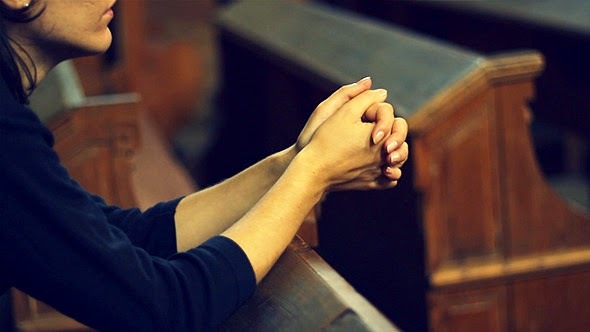 In the Holy Bible, Jesus, instructed St. Peter - as they were finishing breakfast on the shores of the Sea of Galilee - to “Tend my sheep.” (John 21:15-17) Sadly, any unfortunate member of the Church who is following messages of MDM is listening to the “father of lies,” who coached this anonymous “stranger”and instructed her to crawl into the sheepfold only to frighten and steal the lambs. In John 10 the warning by our Lord was to be mindful of such strangers. Remember that the good shepherd lays down his life for his sheep as did Our Lord and so many of the early popes. As is Pope Francis prepared to do after Isis threatened his life. Meanwhile, Mary Carberry she has slithered under a rock. This the lady who boasted she would lead an army of billions. You know very well what is the truth. God's Judgment is very near. And you are misleading people with your lies.